Featuring an integral Picatinny Rail, the Tactical is a barrelled action of choice for those who demand the stability of a heavier platform. Currently as a barrelled action only, as an adjustable stock is under development. The Tactical is available in right-hand only. Illustrated here with the longer 74cm, 27mm diameter barrel and also the shorter 58cm, 30mm diameter barrel. 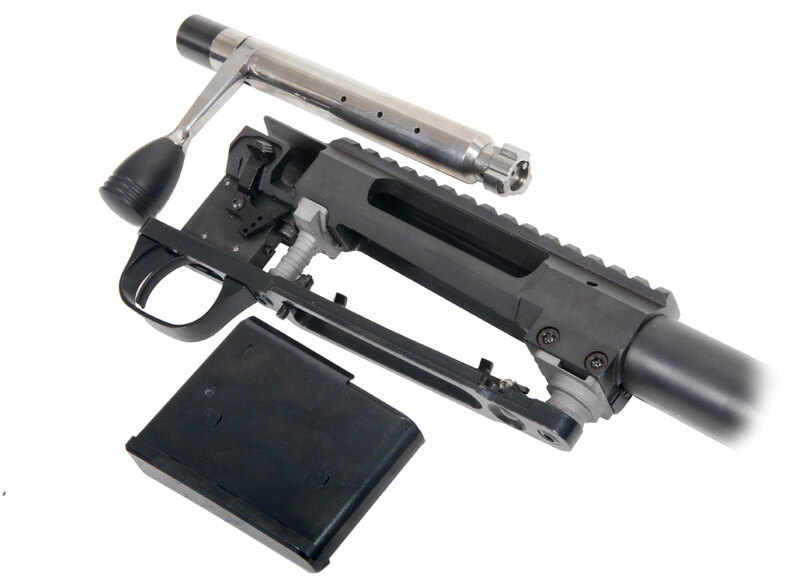 The Tactical is a switch barrel rifle and will accept any Classic or Victory barrel without modification. This gives the convenience of a fully adjustable stock and Picatinny rail for night vision optics without the weight penalty of a heavy barrel. To reduce weight further, an aluminium action body is available as an option. 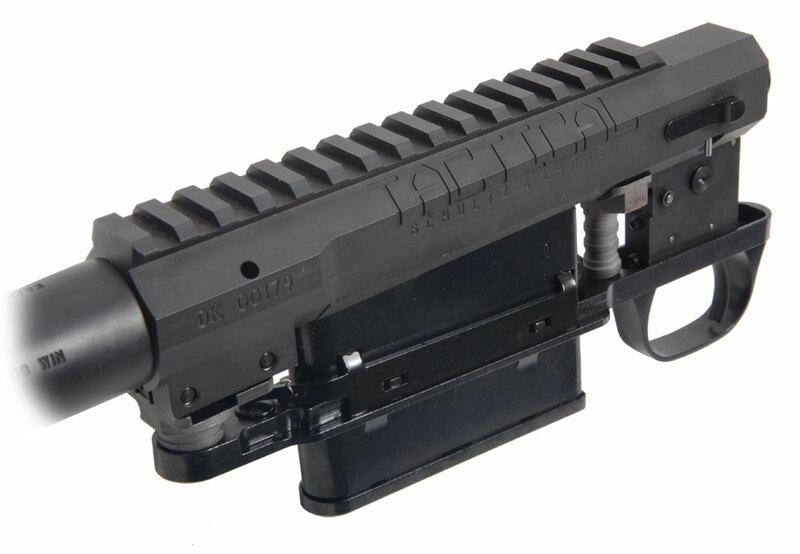 The Tactical is supplied with 6 shot magazine as standard, but will accept the smaller capacity magazines if required. Two bolt handles, large and medium, are included. As standard, the Tactical is fitted with the excellent Schultz & Larsen designed 2-stage trigger. The first stage of the pull takes up 60% of the pull weight making for a very light and crisp final break. This trigger allows absolute precision whilst retaining adequate sear engagement to ensure safety in all conditions. 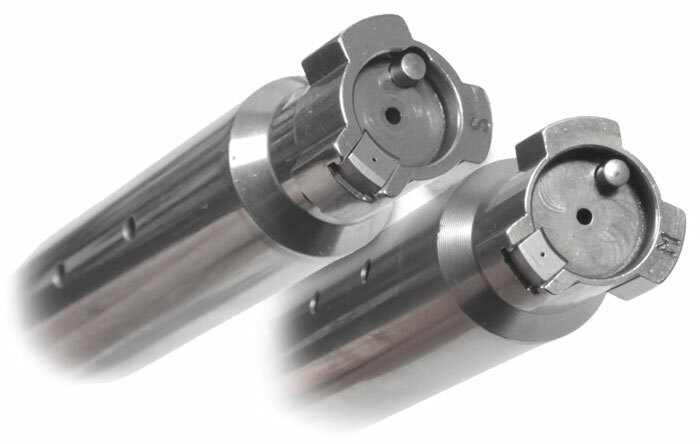 Standard barrel diameters are 16mm, 17mm and 19mm but also available are 25mm, 27mm and 30mm. Please note that not all calibres are available in all profiles but may be possible to special order. Weight depends on barrel choice but with the steel action is 1,470g, plus barrels weighing various weights depending on specification. 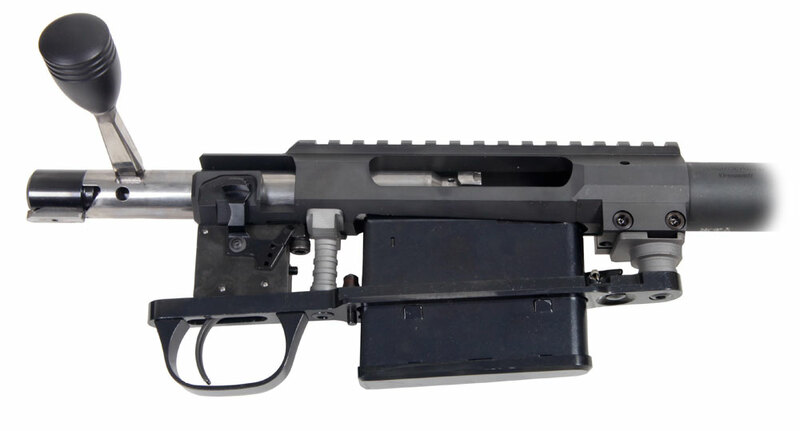 The featured Tactical barrel of 74cm weighs 3,170g and the barrel of 58cm weighs 2,840g. The Schultz & Larsen switch barrel system makes it quick and easy to change calibres, allowing a heavy barrel set up for long range precision but switching to a lighter barrel for field work. If you change between Standard and Magnum calibres you will also need to change the bolt. 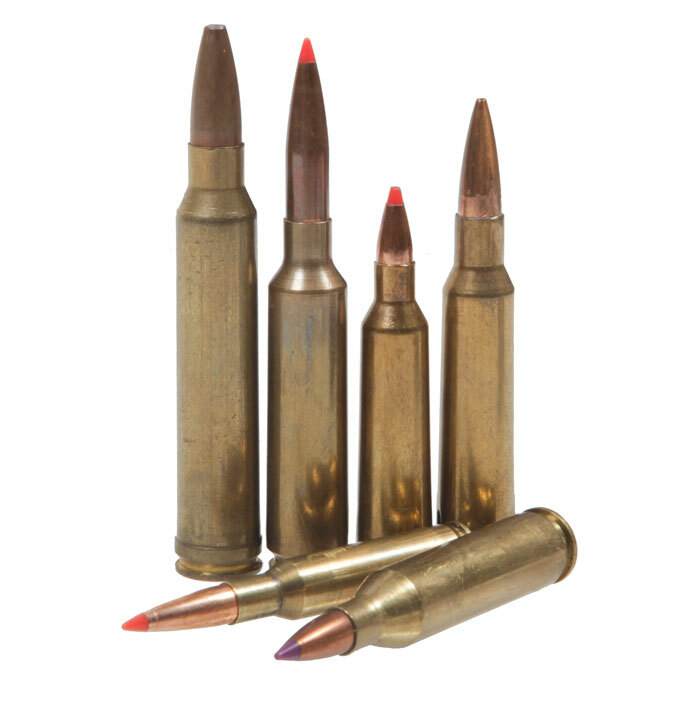 One standard bolt can be used with all calibres in the standard calibre group and the Magnum bolt with all magnum calibres.